Destined for greatness at birth, this outstanding mare is the product of a Congress Champion sire, and one of the most prolific broodmares in AQHA history. With too many awards to mention, Hopeful Assets became the all-time leading youth hunter under saddle horse in AQHA history at the tender age of 7. Boasting 1344 lifetime points and superiors in youth and open hunter under saddle and halter, Hope is also an AQHA and AQHYA champion. With an unprecedented five back to back high point wins in hunter under saddle, this unique mare is also a multiple halter high point earner. Piloted by a youth rider, Hope also earned the title of Open AQHA High Point Hunter Under Saddle mare with limited showing. Retired sound. In foal to Uwishuwerehotlikeme (16.3) by Hot N Blazing for 2012. Open, Amateur and Youth ROM earner. Dam of Supremotee for Me - 3 Time World Champion and 3 Time Reserve World Champion, Congress Champion and Reserve Champion, AQHA High Point Champion, Amateur AQHA Performance Champion, Open AQHA Superior All Around and multiple Superiors. Over 1,100 AQHA Points! This is one of the most beautiful individuals that we have ever owned or raised. 10+ mover. Sadly injured as a weanling and unshown. Royally bred, her dam is the exceptional show mare, and producer, Bett A Song (Superior and Superior producer + Superior Granddam producer). Bett A Song earned points in 7 events before the implementation of double judged shows, and was Reserve Miller HUS Champion. Bett A Song's offspring are continuing her tradition of excellence as producers in hunt seat and western including winners of Reserve World champion awards and Reserve High Point Champion awards. 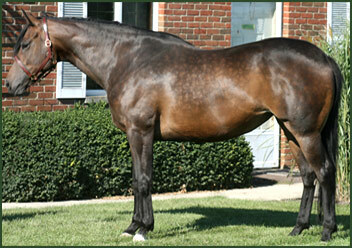 Bett Her Luck's sire, is a 17.2H black full brother to multi-millionaire and producer, Devil His Due. Check out the important pedigree on this mare. 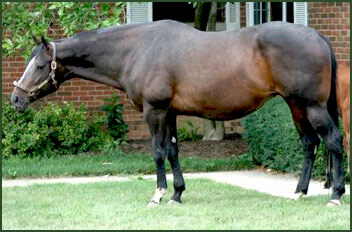 Her TB sire, Solo Point is a multiple AQHA point producer and paternal half brother to the immortal Swift Solo who produced among others, the incomparable mare, One for the Record (AQHA Superhorse, 6 time world champion (3 events) and 15 time AQHA High Point Champion, while earning 1952 points. Solo Point�s dam is an own daughter of the highly regarded Kentucky Derby Champion and numerous G1 winner, Swaps who was the son of Khaled, a stallion imported from the Aga Khan'sstud in Europe. Swaps goes back to the immortal Man o' War, via his dam, Iron Reward, through the Triple Crown winner, War Admiral. 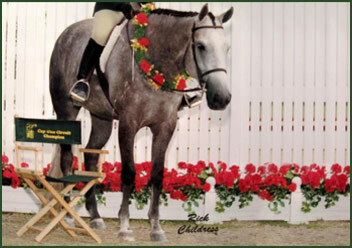 In the list of the top 100 U.S. thoroughbred champions of the 20th Century by Blood-Horse magazine, Swaps ranks 20th. Talk about champion bloodlines! This mare�s point earning and producing dam is Suecandoitall, owned by the late National Cowgirl Hall of Fame inductee, Ann Call and later sold to a prominent hunter/jumper owner with horses competing in New Jersey and Wellington. 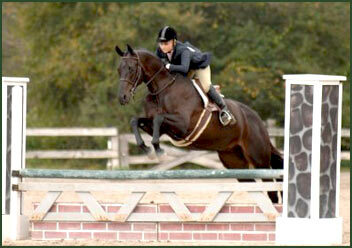 Solos Masterpiece is herself a gorgeous mare with a classic warmblood structure, height, movement and disposition. Her unique bloodlines will cross on nearly any popular pedigree. A successful show hunter herself in limited competition, she competed successfully in USAE and limited AQHA events. Although competed at 2'9-3'0" this mare easily worked 3'6" courses. Check out her exceptional 2011 filly by Kelsonic who measures well over 17H. 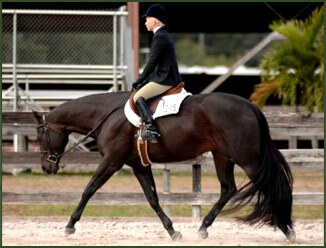 This mare will produce either hunter under saddle or hunters for the highest disciplines. Two of her offspring are currently competing in hunter/jumper events. Like their dam, they are quality movers, and brave, round jumpers with tight knees suitable for "A" circuit competition. You will look long and hard to find a more beautiful mare who is extremely gentle and wonderful to work around. We continue to ride this mare occasionally, though she is back in foal for a 2012 to Kelsonic.